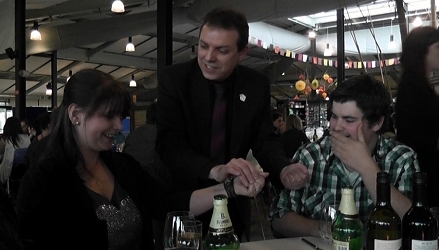 A full-time professional magician with many years of experience, it's Russ Styler's blend of amazing sleight-of-hand magic and humour that continue to make him a most popular choice of magician for events in Daventry and across the UK. Whether it's a wedding, a corporate occasion, anniversary or special birthday party, hiring Russ will help to make your event an even more magical and memorable one. 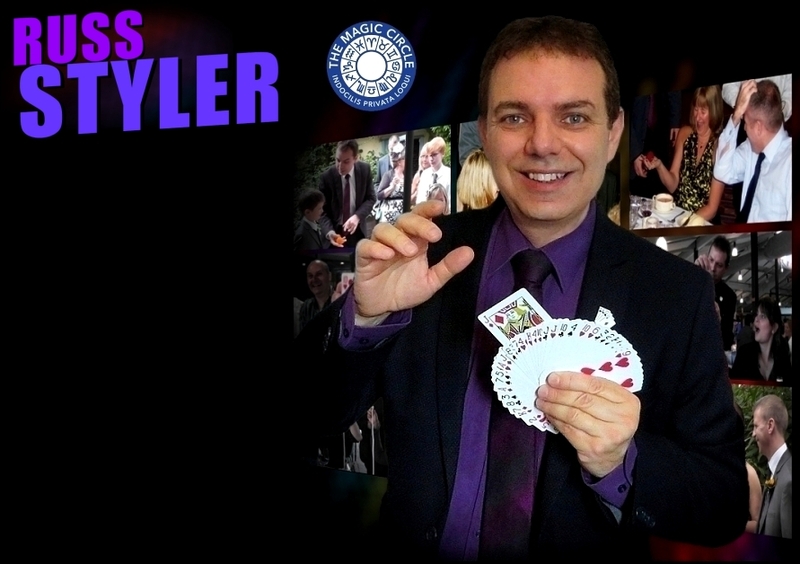 Having performed his magic at countless hotels and venues over the years and having worked summer seasons as a close-up and cabaret magician in the UK and Scandinavia, Russ Styler is a name you can book with confidence. Russ is also a member of the Magic Circle, The International Brotherhood of magicians and Equity. If you would like to discover how hiring a magician can work to give your special event or occasion an added magical dimension and leave your guests with something to talk about for years to come, click on any of the appropriate tabs at the top of this page to learn more. Whether it's a close up magician performing around tables or in a drinks reception environment whilst everyone is stood chatting, or if it's a show you're after, Russ is happy to advise to help you make the right choice. Fully insured for public liability - certificate available on request. 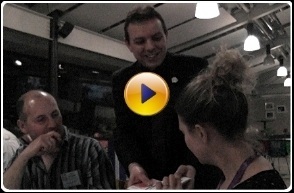 Professional magical entertainment, close up magician / table magician or shows. 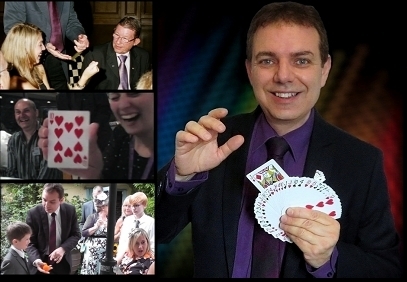 Hire a magician in Daventry for wedding receptions or through the wedding breakfast, annual corporate dinners, anniversaries, birthday and garden parties, summer balls etc. Daventry, Dodford, Staverton, Wolfhampton, Barby - Northamptonshire UK. Contact now for cost / prices and availability. If you would like to discover how hiring a magician can work to give your special event or occasion an added magical dimension and leave your guests with something that they will talk about for years to come, click on any of the appropriate tabs above to learn more.